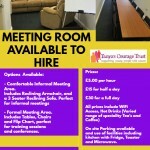 We have a fab meeting room that is available to hire. There are two sections of the room, there is the informal side which included a reclining armchair and a 3 seater recliner sofa, perfect for informal meetings etc. We also have a space with tables, chairs and a flip chart, perfect for training sessions. 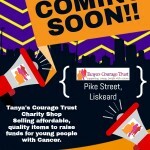 We are very excited to announce that we are coming to LISKEARD!! We have received the keys, so work will start next week to prepare for the official opening date (yet to be confirmed). 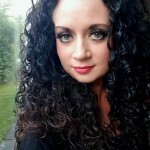 We look forward meeting lots of new customers and volunteers. It is with great pleasure that we announce that Adam Grindrod has been voted to continue his role as Chairman, the trustees also voted for the lovely Kate Osbrink as Vice Chair. We are very proud to have such a wonderful committed team of trustees, who are passionate about our cause. Please get in touch if you are interested in any of these positions. We are very pleased to announce that our wonderful team in Penryn have worked extremely hard in opening a new shop in Falmouth. We are located in St Georges Arcade. Pop in and have a browse, lots of bargains to be found!! 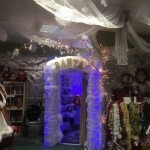 This is one you won’t want to miss, come and visit Santa in the fantastic Grotto on the 1st December, our Penryn Team really put everything in to it. Come to St Austell on Saturday 8th December to do a bit of Christmas Shopping, support local businesses by buying your christmas gifts from local crafters etc. We will have lots of stall holders selling their goods, as well as our charity stalls too. 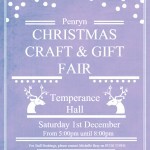 Come along for a lovely festive afternoon. 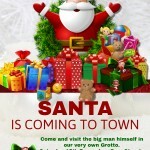 On Saturday 15th December there will be a Santa’s Grotto set up in Fore Street, St Austell. Come along and treat your child to a special meeting with the big man himself, and your child will receive a special gift from Santa. 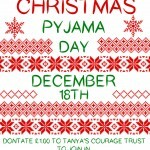 On Tuesday 18th December The Tanya’s Courage Trust are holding a Christmas PJ Day. 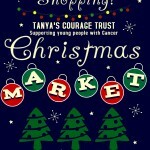 All you need to do is wear your favourite Christmas PJ’s for the day and donate £1.00 to Tanya’s Courage Trust! Who doesn’t love an excuse to wear Christmas PJ’s to work?